The Ampera-e has a compact shape. Its interior is roomy because the battery pack is mounted under the vehicle floor. BOCHUM (Reuters) -- General Motors CEO Mary Barra said the company's Opel/Vauxhall unit will launch a long-range, affordable five-seat electric car called the Ampera-e in 2017. 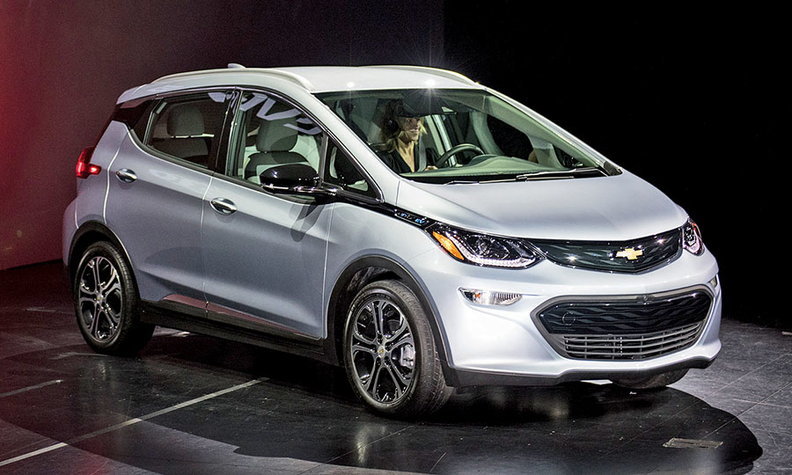 The car shares the same underpinnings as GM's other electric car, the Chevrolet Bolt. "The Ampera-e promises to transform the electric vehicle market in Europe as the first EV that combines long range at an affordable price," Barra told the CAR Symposium industry conference here today. Barra said the Ampera-e would offer a greater electric range than the vast majority of electric vehicles currently available in Europe, and offer room for five passengers and trunk space comparable to that of a compact car. Opel CEO Karl-Thomas Neumann said in a statement that the Ampera-e will open the road to electric mobility "by breaking down the barriers of high price and short driving range." 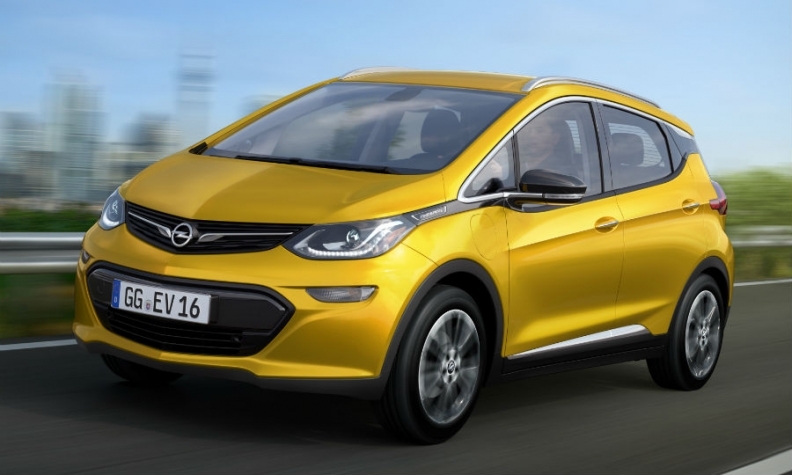 The Chevrolet Bolt, shown, and the Opel Ampera-e will share underpinnings. GM said it would announce further details about the Ampera-e's range and price at a later date. The Ampera-e model will be more affordable than BMW's i3 electric car and will compete with Volkswagen's battery-powered e-Golf, which came out in 2014. GM is investing more than 4 billion euros ($4.5 billion) in its European operations through the end of 2016 under an initiative that started three years ago in an effort to stem losses. Opel and its UK sister brand, Vauxhall, are set to bring out 29 new or revamped vehicles by 2020, including a new midsize SUV as second flagship model alongside the Insignia. Opel/Vauxhall is seeking 8 percent market share in Europe by 2022, compared with 5.8 percent last year, and targeting a 5 percent operating return on sales by then. CORRECTION: This story has been updated with the location of U.S. production for the Chevrolet Bolt. An earlier version misstated the production plant.